Just yesterday we heard about Nokia’s Italy Marketing manager spill some beans that Nokia Carla has been scraped by Finnish company and there would only be a Belle FP2 update that would arrive. But surprisingly Nokia has today confirmed it that the Nokia Carla update has not been cancelled, as the speculations have been suggesting. According to the source, Nokia Carla was actually the code of the Nokia Belle Feature Pack 1 (FP1) and so the update is not cancelled and will roll out to a few recent devices. With the Nokia Belle FP1 update Nokia is planning to bring in features such as new set of widgets, new version of Nokia Maps, Dolby Headphone, improved notification bar and multitasking view, improved browser with HTML5 support and the Microsoft Apps. The Belle FP1 which is arriving with the Nokia 808 PureView will also roll out for a few devices which include Nokia 700, 701 and 603. With this update the Nokia 700 and 701 will see an increase of clock speed from 1GHz to 1.3GHz. 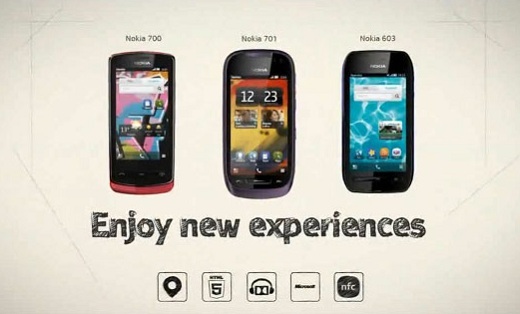 But older S^3 devices will only get selected features of the Belle FP1 which is being called the Nokia Belle Refresh. So now that we know that Nokia Carla is the FP1, is the Nokia Donna the FP2? Well we’ll let Nokia confirm this later and also hope that the Symbian OS is kept alive by the company.